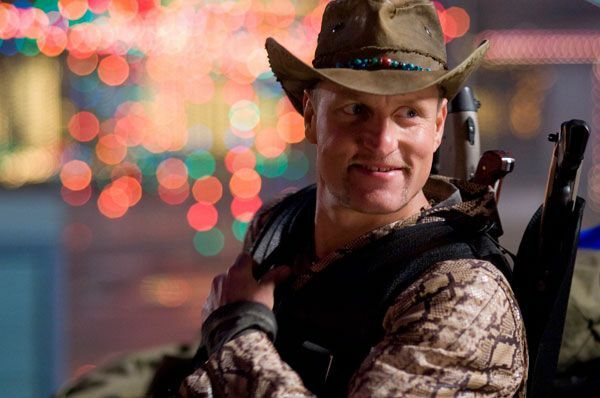 A few months ago I went to the set of director Ruben Fleischer’s “Zombieland”. While on set, we only got a few minutes to talk with Ruben as he was quite busy setting up shots and keeping production moving. So instead of just being able to post the brief quotes we got on set, Columbia Pictures set up a phone interview a few days ago and after the jump is the transcript. During the interview, Ruben talked about how he got into the business, what’s the plan for Comic-Con, Twitter, what were the big challenges in making his debut movie, and what he might do next. It’s a great interview so take a look. Confirms he’s be at Comic-Con along with Jesse, Woody and Emma. Doesn’t know what clips they’ll show yet. Anyway, that’s just the tip of the iceberg as Ruben goes into a lot of details about everything I just listed. But before reading the interview, I’d suggest watching the trailer, which I think is great. Finally, I’ve also posted a video blog about my adventures on set, so click here to watch. A lot of people were taken aback when they saw this trailer I was wondering if we could get some background on you, and what you’ve done as a filmmaker in the past and how you got involved with Zombieland? Ruben Fleischer: Sure, I came up under Mike White, and Miguel Arteta I was Mike White’s assistant on Dawson’s Creek. Actually I was a PA first and then I got a job being his assistant. And right after that, they went and made Chuck and Buck and I got a job being Miguel’s assistance. And I never aspired to be a director or really knew what that was, I just kind of liked the whole Hollywood thing and I had been doing web stuff in San Francisco and in 96. I started building websites, very early in the whole genesis of the Internet. I was working on GM, Microsoft and all these different huge sites, but the very early first versions of them. Like HTML 2.0, so I got a job being Miguel’s assistant on Chuck and Buck and then I did Boot Camp. It was a 20 day shoot. They had no money. I was working 18 hour days seven days a week, just like doing anything and everything. I was the second assistant camera guy, you name it I did it. I think I was 22 or 23, and it was just the coolest thing in the world getting to see how a film was made and came to be a real participant in the making of it. So it was a scale to film and there were no unions or anything. I could really do anything and McGill would have me go and look for location or whatever it was. I got a firsthand experience, and after that I went around and did some other stuff working as an assistant for various producers executives and entertainment and then they made The Good Girl. And I got a job again being Miguel’s assistance, but it was a bigger production, and so there was less for me to do because there were more hired professional people to do things and union and so I really just was responsible for being his assistant. But they allowed me a great vantage point to kind of watch a director prepare and then also through shooting, seeing his technique and the way he dealt with the actors. And all the facets of directing specifically, and he allowed me great access and was a true mentor. If I had any questions or anything, he really wanted me to understand and participate as much as he possibly could, so after that I was like okay I’m going to be a director and I saved up some money. And I decided to make a short film, which I was convinced would be like my ticket to success. And I made a short film called Girls Guitar Club, which was shot on video for two grand or something like that. And I basically spent all the money I had saved and was sure that movie deal offers were gonna come and I’d be directing pilots television shows. And as soon as people saw the short film, but of course people thought and said oh that’s good, and that nothing ever really came of it. So I just had to start from scratch, and I didn’t have any more money so I just had a video camera and I started shooting things for no money just music videos for my friends for 50 bucks, a music video of my dog. Just anything I would point the camera at things. And I would shoot and I taught myself how to edit and over the course of doing this. I was living off of unemployment and getting deeper in debt. But gradually might video started going from $50 videos to $500 videos to five grand videos. And I had a website, because I didn’t like sending out videotapes to different people do try to get them to watch stuff. I just posted videos on my website and links before you tube or anything just because I knew how to do it because of my web background and so one of my videos became like a viral video. Early on, and I did over a terabyte of data transfer and got a huge Internet bill for the cost of the data and out of nowhere it gets streamed 500,000 times and I got offers for production companies to represent me for commercials, and I started doing bigger commercials and traveling internationally and bigger videos and stuff and managed to support myself through directing any kind of just all went from there. At some point I got an agent. And I started reading scripts, and I became attached to this movie called Psycho Funky Chimp. Which Todd Phelps was producing, which is an amazing script and has Michael Bacall, who co-writes the movie. Scott Pilgrim, and he’s just a terrific writer, and it’s a movie about the quest for the world’s greatest pez dispenser it’s this comic book nerd who lives at his parents basement and he has two go get this because dispenser, so I kept it for two or three years and it was at Paramount, and I thought I was going to get to make it and it never came to pass. So I started reading newsgroups again to try and find a movie, because I really had an ambition obviously to get to make a movie. And I read the Zombieland, and as soon as I read it. I thought that this was a great opportunity to show what I can do because it’s such an interesting movie because it’s five genres at wants. It’s a horror is a comedy is a romance. It’s a road movie. It has a lot of different things going on in it, it’s an action movie. And so I went hard after it. I met with the producer and met with the studio, and I don’t know how many different people in different directors to get the job but somehow I got it and worked on the script with the writers to get really how I wanted to go shoot it. And then they let us go make it which was incredible. Usually, you always ask the director, what were their challenges or what surprised you the most on the shoot. And you sometimes get a boring answer, but this was your first big feature. What was the thing that surprised you the most or what was the big challenge? What you had to overcome? Ruben Fleischer: I would say every aspect of it was a big challenge, because the scale of things that I have done. I think if you would have leapt onto my short films and watched them, they were made for 15 grand, and they have two people talking and day three I had a hundred extras dressed as zombies with machine guns and stuff. So there was a huge learning curve, and even just day two. We started with a fight sequence end in day two we were bashing zombie’s heads and stuff like that, so definitely the action was something that I hadn’t done it all. But I got lucky enough to work with this guy G.A. Aguilar, who was the second director and stunt coordinator and he is just incredibly talented and has a great sense of humor, and just really facilitate the action in our film. He’s been the second unit director for Martin Scorsese and for Ridley Scott and so I can’t ask for anybody more experienced. And then my first HD is Roland Emmerich and Doug Lyman’s first 80. So between the two of those guys, they have made just giant action movies, and it really helped the process. And that was my hole he fills was that I was going to surround myself with a bunch of people that really know what they’re doing, because clearly I have no idea. And let them guide me through the process and it ended up working really well. Could you talk a little bit about the reaction that you read online to the trailer, because it seemed to me that everyone really liked it. And personally, I really liked the use of the slow-motion and all that other stuff. Ruben Fleischer: Yeah I’m thrilled. I can’t tell you how excited I am about the reaction to the trailer. I wasn’t expecting it. I feel like a zombie movie is kind of like the gold to hear movie. There is just so many people that love the genre and are so protective of it that I thought for sure there would be at least some haters. But it’s been incredible. How it’s been so far for people to see it. There is the obvious comparisons to Shaun of the Dead, but it seems like the trailer conveys the sensibility of our film. And even people who accuse the movie of being like Shaun of the Dead. There was enough people coming to our defense to say no, this looks really different. There can be more than one zombie comedy is what I guess I have been saying all along. Is that it’s its own movie very much and so I’m thrilled I’m very excited. Do want to talk about maybe what you’re planning to show people at comic con? Ruben Fleischer: Actually, I don’t know, we haven’t pulled the clips yet, so I don’t know the answer to that question, but I want to show as much as we can to really give a sense of the film. But we haven’t pulled the clips yet, so I don’t really know what those parts will be. But you are a part of Sony’s presentation. Ruben Fleischer: Yeah me and Jesse and Woody and Emma are all going to be there. And we’re going to show clips and talk about it and stuff like that. How was it working with Bill Murray? Ruben Fleischer: That’s a great question. I don’t know how to respond to it other than to say that God you’re good. You’re really good. I don’t know how to respond to that question, one can only imagine how amazing that would be if one had that opportunity. Hypothetically speaking, it is somebody of the caliber of Bill Murray worked on your movie would have been a multi-day shoot hypothetically or would it have been just a nice afternoon as a zombie? Ruben Fleischer: I really wish that I could answer all of these questions, but I don’t know that I’m able to. I think we can move on, I think I have your answer. Ruben Fleischer: As soon as I can talk about it a lot. I will, but I don’t think I can talk about it. How is the running time shaping up for the film? Is it really tight so far? Ruben Fleischer. Yet it’s really tight. The last cut that we had with under 90 minutes. I think it’s going to get a little bit longer. We took some things out that maybe we shouldn’t have and so were going to put them back in, but I think comedy should be sure. I don’t like long movies, I find them. It’s supposed to be just really enjoyable film just kind of like a fun movie to watch. And I think that drawing things out long really hurts that experience for me. This movie seems like it could be ripe for a viral promotion. Are you guys planning anything like that? Ruben Fleischer: I hope so, I don’t know if you’ve seen any of the marketing for D9 but Sony is so good at really unconventional marketing and doing cool original approaches. And so I’m hoping we can do some viral stuff. I’ve definitely pitched some viral ideas and do have a pretty good understanding of the Web. And so hopefully we will get to do some fun stuff. It’s really the first movie being promoted through twitter. It’s a pretty good indication of how they’re trying to do things slightly differently. Whose decision was that? Your trailer was the first trailer to feature advertised the twitter account. Ruben Fleischer: It is and that’s something that I am proud of. We don’t have a URL we have a twitter thing, which I think is so cool. I think the updates on the twitter are pretty cool and funny, and hopefully will get kids excited about it. And supposedly the kids are replying a bunch to the account which I think. I wish I could see but I think it’s super cool, and it’s turned into such a powerful… If you do a search on Zombieland on twitter just to see what kind of response of people are talking about. When the trailer first launches like one every minute. Now they’re more sporadic, but it seems like people are super excited. And it’s a great way to be able to track trends and stuff like that. But that whole thing has shut down because of Michael Jackson. So it really is a powerful way to monitor what people are talking about. But if you could do a search for a Zombieland on twitter, you can really see Lake the first comment that comes up is just saw a preview for a Zombieland holy crap. Kids really seem to be excited about it to movies that they have to see is Zombieland and Dead Snow. We know that you are on twitter and both Peter and I follow you. So what’s the take for you to start following some of the movie blog sites? Ruben Fleischer: I look at them online, I mean, I look at both your sites several times a day. I have this horrible habit of just pressing online bookmarks that are at the top of my browser like ad infinitum. Like even if they have an updated August go through it in a mindless sort of zombie way and/runs one of those. And I look at the site 25 times a day just waiting for new stuff to get updated. But I cater to that bookmark as well. Ruben Fleischer: Honestly, like with the twitter I follow so few people, if you followed too many people are you follow people that updated time. To me, it loses its effect, if I want to read about movie news all actively do that as opposed to getting it. A stream of it constantly. That’s the only reason not to follow it as opposed to. I’m not being exclusive or anything like that. You’re nearing the completion of your film and I know it comes out later this year. So I’m assuming you’re already circling or looking at other things for the future. So what’s on your plate, are you looking at some scripts? Ruben Fleischer: I try to. I have a huge stack of scripts that I’m trying to get through. I want to do something pretty mainstream, comedy or action comedy type deal. And so I’ve been trying to read as much as I possibly can reason that Zombie Land is so good. And why it attracted all the great actors and everything that it did is because the script was so strong. And I think the key to the director’s success is having good material. If I had gone and made a movie that the script was problematic like there is no way. It would have attracted the actors that we got it just would’ve ended up being a lot worse. And I was really patient waiting for the write scripts like funky chimp was an incredible script. And I didn’t consider another one until I read Zombieland just because the bar was set really high. And so I think as a director, that’s the biggest decision you make is just choosing the right project. Because everything comes from material, and so I’m trying to be really deliberate as I read scripts to make sure that they have the potential to be great movies I guess that’s pretty self-explanatory, but I’m trying to be really careful. Is there any chance now that Todd Phillips is taking off again in a huge way that the previous film might come back on the horizon? Ruben Fleischer: I really hope that it happens because we had Jonah Hill interested at one point, and it’s just a really funny movie. It’s just a fanboy movie, because it’s about collecting and that passion that somebody has for their collection. And it’s just got a lot of heart in the movie it’s great. It’s really really good. So yeah, there is that. And then I guess just trying to read a bunch of other stuff and find other opportunities. 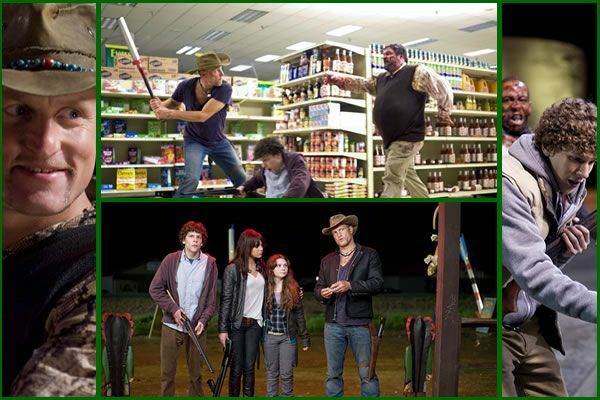 One thing I was wondering, what I read the script for Zombieland. The thing that immediately hit me were these zombie rules and cutaways and help brilliance, those were what. When there and entertain Sony is going to, not Rubin to go back and shoot more of these kind of things, has there been any talk of that? Ruben Fleischer: Well, definitely in the audiences that have seen the film. They are saying that they love the rules, and they wish there were more of them. We haven’t talked about reshooting anything yet, but if we were, I would try to incorporate some more rules. There is another thing from the trailer that there is a zombie killed a week it was so popular that I wouldn’t mind having more of those in the movie too. But we don’t currently have them and we have no plans of reshooting anything so we’ll see how it goes. But on the rules, I’m glad you like them as a component of the script and working with this graphics company called Logan is just so talented. And they’re trying to make the way that they are presented very dynamic visually in the context of the film. So that something that I geek out on and get super excited about is just having a really cool graphical components to the film. I guess I just want to ask you one last thing. Are you a geek at heart? When you go to comic con, are you looking forward to buying anything? Are you going to go shopping for anything? Ruben Fleischer: To be 100% honest, that’s not my world so much. It’s like, I appreciate it but it’s not. I’m not a collector is the answer is that if I am being completely honest, I would say no. But I feel lame, but I’m, not because all my friends are. And I have such an appreciation for it but it’s just that I have never been that way. The one last thing is that we saw some of those selects. When we were on set and some of that amusement parks stuff looks really cool, could you talk a little bit about filming their and the fact that I don’t think that any movie I have seen that I have seen the stuff that you have shopped for this film Zombieland in an amusement park the way you shot it. Could you talk a little bit about that? Ruben Fleischer: It’s like the stuff I was saying at the beginning, Day three we were in an amusement park, and it was all night and we were there for 2 1/2 weeks. You may get a sense from the trailer. We have Woody hanging from rides and going crazy and blowing zombies away nonstop. Yeah, it was cool. We head of the amusement park, wild adventures completely to ourselves like it was the back lot to go where ever we want to shoot where ever we wanted. We designed the action for the rides that are there. We actually re-scripted it based on what was available there me and George the stunt coordinator in the second unit director walked through the whole park and basically scripted the action to the existing rides. That was like the big contribution that I made to this film. When I got aboard, there wasn’t. It wasn’t set at an amusement park. The ending was a lot different, and there were kind of like these hands of Disneyland in the script and the girls wanted to go there this Disneyland destination, and it was my idea to say basically well. Why don’t we just have the movie include this amusement park that they have been wanting to go to and will just have a giant zombie battle in this amusement park. Just because I thought it would be such a dynamic location for kills and the set piece and visually just at night in an amusement park looks so amazing. So yeah I guess to a degree that was my contribution, and it really worked out terrifically I mean, it was hard work shooting all night and dealing with the coals. We had Abbie at the top of a ride in almost freezing weather. It was incredible. The only other movie that I know that has a big action sequence set in an amusement park is Beverly Hills cop three, which isn’t a great movie and the action in that park isn’t great, and it’s during the day time, which to me is visually not nearly as interesting as nighttime. The movie is obviously a small movie, but there isn’t a huge budget, but the movie looks like it’s a big budget or a bigger budget than it is. Any talk about making the most out of what you were allotted? Ruben Fleischer: Yet that is what I am proudest about and I appreciate you recognizing that. I think it looks like a big action movie, but we have the same budget if maybe not even smaller then, Super Bad, which was just a bunch of kids running around their neighborhood. And we have an amusement park and machine guns and hundreds of some days and stuff like that. So I’m really really proud of us making the money go as far as we possibly can. And that had to do with great producing the tax incentives that Georgia offers. I think my low budget background kind of forcing everyone to think about things differently than they did on Independence Day or Godzilla or other big movies that people on my crew worked on. We had to be just a little bit more ingenious, and we just got really lucky as far as like Georgia really offering us a lot. We have 40,000 square-foot mansion, and we had an amusement park and we shut down full highways and really the State just had a lot of production value inherent to. It just was there and it was there at an affordable scale. I just wanted to know what your thoughts are on the digital revolution and digital cameras versus film and could you talk a little bit about what you shot Zombieland on and what you think about digital or 3-D and stuff for future projects. Ruben Fleischer: I shot on digital we shot on the Genesis, as I was saying about my background I came up shooting digital eyeshot weighing more digital than the film. And almost everything on my real is either DV or HD and I have no allegiance to film. Just because I haven’t had the opportunity to use it that much and there are so many inconveniences to shooting digitally so I love it. I think is great, I think it’s the future. I think it’s the present. It’s definitely the way to go. Q: But these were the actual rides from the amusement park that you were able to use? Fleischer: We scripted the sequence to the park. Like when it was originally written, there was all different rides in and we had to basically go, once we found out the location, to that place, go through all the rides, play with it, see what would work well and then tailor the action to the location basically. Q: How did the script change once you came on board? Fleischer: Well, there wasn’t an amusement park involved (laughter). I don’t know if you heard about the genesis of the movie, but it was originally a TV show so it didn’t really have an ending because it was supposed to lead to the second episode, so it was kind of unresolved. I was just trying to picture what was going to be the most climactic place and sequence to the whole thing, and then in the original script, they had that the little girl wanted to go to Disneyland. I was like, “Well, we should just have them go to Disneyland and have it actually resolve there.” That was my big contribution and then little pieces here and there. I think maybe the biggest contribution I made was the casting. I really saw Woody and Jesse pretty much the whole time, so it was amazing that we got them to play the roles, because I cannot imagine anyone else as those characters. Q: What drew you to the script? Fleischer: Just the opportunity as a first-time director, there was so much in there. Like I was saying, it’s five genres at once. When you’re a first-time director and you’re considering what the first movie you want to make, there’s often romantic comedies or teen humor high school movies or something like that, so it was really cool to have something that just had… Like I had never shot anything with a gun in it before this movie and I had like machine guns and zombies and squibs and all this sort of things. It really was just a huge opportunity to do something I’d never done before… like yesterday, we were doing a really emotional scene with the girls where they were crying and then we have big action stuff, we have broad comedy, we have romantic stuff, so there’s just kind of all genres at once, so it’s a great opportunity to show what I can do. Q: Can you talk about the pre-production process? How long were you involved in that? Fleischer: Well I’ve been involved with the movie for over a year. December of last year (that’s 2007) I got it and then there were complications with the writers’ strike and the SAG strike threat so we couldn’t really shoot until all those things were figured out, but in that time, it really allowed us to work on the script, get it to the point where we wanted it to be, I scouted New Mexico, I scouted Louisiana, and finally ended up in Georgia. Things changed all throughout that process and yeah, then we were in Georgia for 12 weeks doing preproduction and that lends itself really well. I mean, the amusement park was better in Valdosta then any of those other places we looked at. The variety of environments in Georgia works really well. Originally, the movie was set in the Southwest so that was a major change and then coming here, we set it in Texas instead of Arizona, just because there’s no way this was going to play for Arizona and New Mexico and California, so we’re playing it just strictly as Texas and then they travel to California.